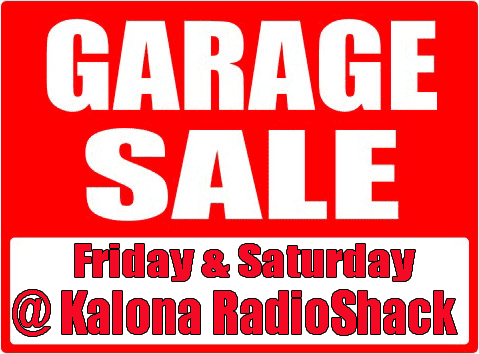 This Friday and Saturday, May 9th and 10th, will be garage sale heaven around Kalona. Weather permitting RadioShack will also be loading up a table top or two with various electronics and goods for sale at garage sale pricing. In fact, in true garage sale fashion, no reasonable offers will be refused on our garage sale items. Stop by 213 1st St. (Hwy 1) in Kalona and see what's available.